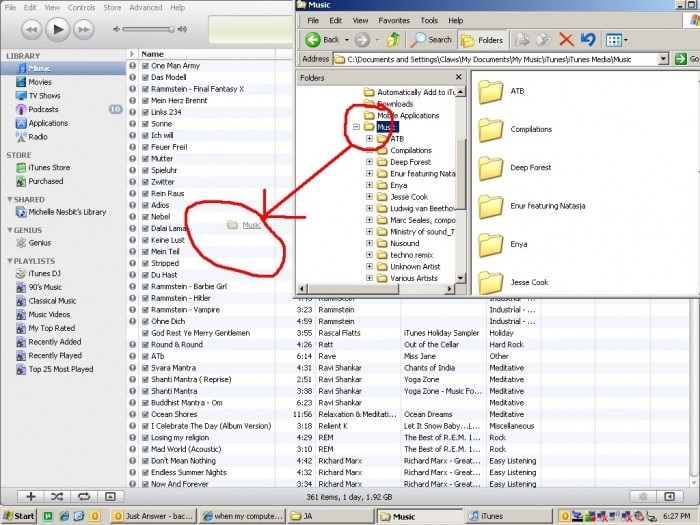 A common problem faced by Windows and iOS users is iTunes not opening on their Windows computer. This is rather strange because iTunes is compatible with Windows 7 and later versions. Many people have complained that they try launching the software on their PC but iTunes won’t open. Double clicking on the iTunes icon does not run the software and there is no change or error message that appears on the home screen, just that iTunes will not open. Many people consider the possibility of a virus attack on the PC or iTunes software malfunction. However, if you also witness a similar situation where iTunes won’t open, DO NOT panic. you do not need to rush your PC to a technician or call for Windows/Apple customer support. This is a minor glitch and can be solved by you sitting at home in no time. Let us find out what to do in case iTunes will not open on a Windows computer. Safe Mode protects iTunes from all third-party external plug-ins that may tamper with its working. Press Shift+Ctrl on the keyboard while double clicking on the iTunes icon on the PC. iTunes will now open with a pop-up saying “iTunes is running in Safe Mode. Visual programs you have installed have been temporarily disabled”. If iTunes open using Safe Mode and functions smoothly, all you got to do is remove all non-Apple third-party external plug-ins and try launching the software again normally. Switch off your WiFi router or simply disconnect the connection from PC by visiting Control Panel. 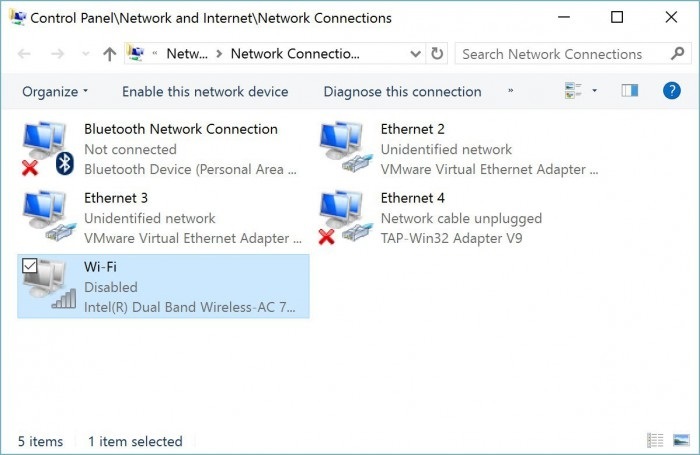 If you are using an Ethernet cord to connect to a network, unplug it from your computer. Now try opening iTunes again. If iTunes runs normally, you know for sure that you need to upgrade your PC drivers which are nothing but software which allows your PC to communicate with the hardware. Hopefully, the problem would be resolved, but if iTunes won’t open even now, read on to know more about other solutions to fix the problem. 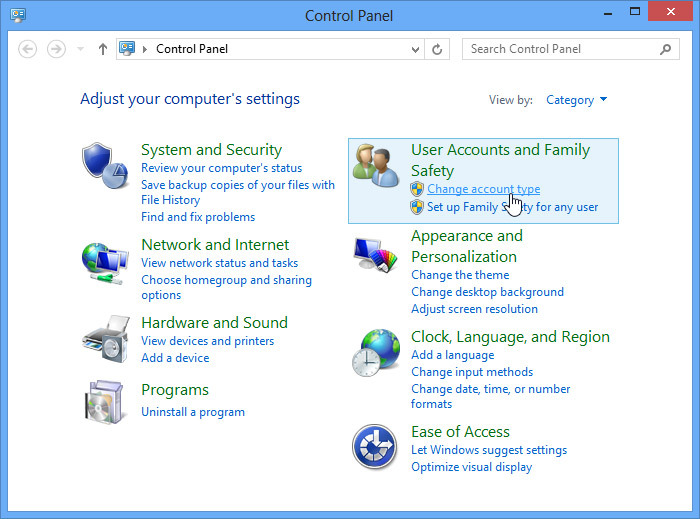 Visit Control Panel and click on the option “User Accounts”. then select “Change Account Type”. Next step is to click “Add someone else on this PC” as shown in the screenshot below. Once this is done, follow all instructions that pop-up to guide you. 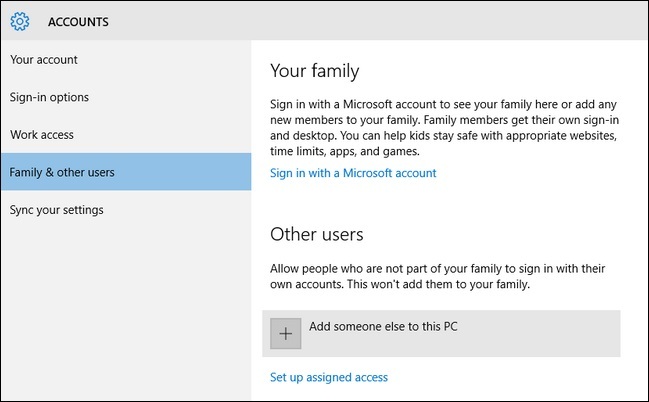 Your new account will be created and you cause it to access your PC. Now run iTunes again. 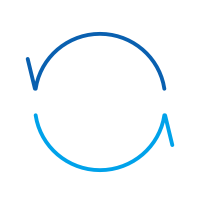 If iTunes won’t open even now, you need to Runa system-wide check, i.e., upgrade drivers, reinstall iTunes as discussed later, etc. But if the software runs smoothly, go ahead and change your iTunes library as described below. Creating a new iTunes library becomes a must if there iTunes won’t open on certain specific Windows user accounts. Go to C Drive ( C: ) and locate iTunes folder. Now run iTunes to see that your library is absolutely empty. Visit the folders where all your music is stored, say in C: in My Music under iTunes or iTunes Media. You may select any one of the three, song, album or artists, and try to add it to iTunes Window by dragging it. Only Add files following the above method which does not display an error while you try to add them back to iTunes Library. This method successfully eliminates files which cause the problem of iTunes not opening. Once your library is created, use iTunes without any further disruptions. 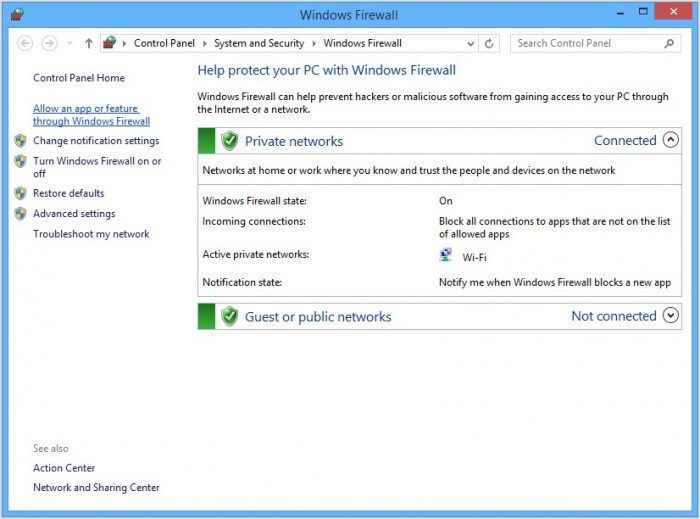 A firewall prevents any unauthorized private networks to access your computer. You must check that your firewall isn't preventing tuned from functioning normally. In “Start Menu” search for firewall.cpl. Wait for the Firewall window to open and then click “Allow an App or Feature through Windows Firewall”. Next is to click on “Change Settings”. Enable iTunes for private network and public network whereas selects Bonjour for private only. If you do not find the software in the list, click on “Allow another App/program” and now browse to locate iTunes and Bonjour. Once located, click “Add” and then click “OK” and exit the firewall. This is nothing but changing your iTunes security settings on Windows Firewall. If iTunes will not open even now, go ahead and reinstall the software on your PC. This is considered as the most tedious way to troubleshoot the iTunes not the opening problem. Re-installing might be time-consuming and cumbersome but has a fairly good success rate to solve the given error. 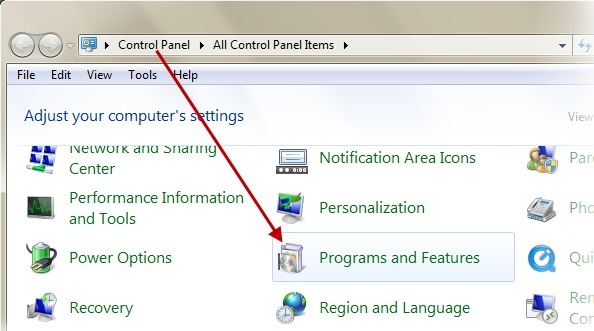 Visit Control Panel and go to “Programs” or “Programs and Features”. Then select “Uninstall a Program”. Now uninstall iTunes all its other software from your Windows PC. Follow the order given below to uninstall all related software to avoid any complications in the future. Now open C: and delete all folders as shown in the screenshot below. You may also empty the recycle bin before reinstalling the iTunes software to your Windows PC from Apple’s official website. Follow this method only if none of the other ways that are described above working sole the iTunes won't open problem. 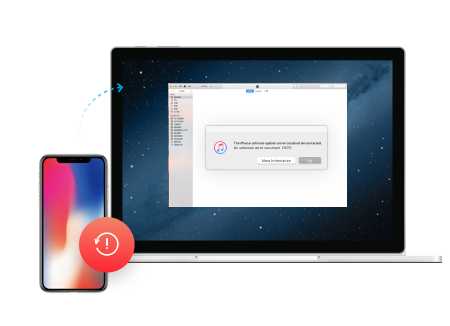 It is amply clear from the descriptions above that whether iTunes not opening is a system-wide defect or a user specific problem, it can be resolved at home without you having to resort to any kind of technical support. The solutions vary from simple and basic ones to more advanced troubleshooting techniques. Follow the one that best suits you and enjoy using uninterrupted iTunes services on your Windows computer. This article tells you how to find the best iTunes movie deals and rentals, and all the other knowledge about iTunes movies. Just bookmark this page for reference in the future. This page offers the best solution to sync iTunes music with google play on android ,also with a better alternative solution to transfer music between android and iTunes.